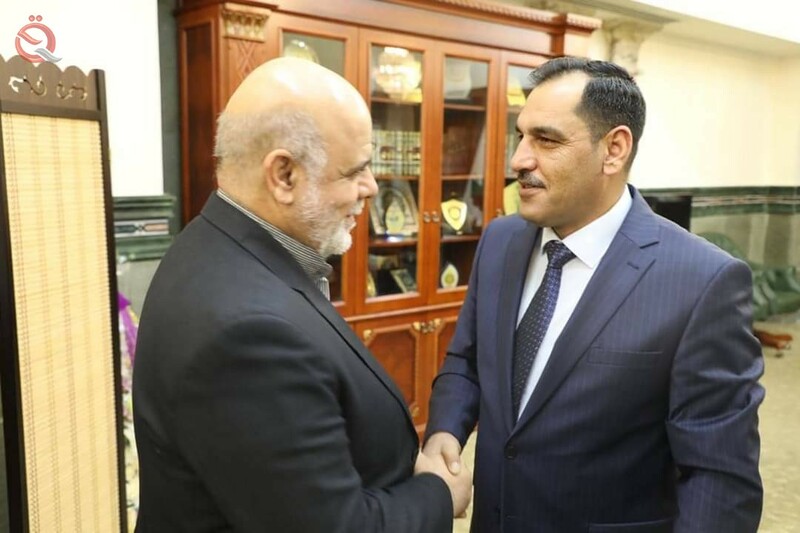 DAMASCUS, (SANA) -Minister of Industry and Minerals Saleh Abdullah al-Jubouri on Monday discussed with Iranian Ambassador to Baghdad Irj Musjdi the prospects of joint industrial cooperation and investment opportunities. According to a statement by Industry Minister Saleh al-Jubouri, "The Economist News" copy of it, "the latter met today, the Iranian ambassador to Baghdad, Irj Masjidi, to discuss the prospects of industrial cooperation and joint investment opportunities between the two countries." Al-Jubouri stressed during the meeting the depth of the historical relations between the two countries, pointing out that "Iraq's desire to benefit from the experiences of Iranian companies to develop the industrial reality in the country and expressed the desire to strengthen partnership and investment opportunities with companies able to technically and financially to rebuild the base And the establishment of promising projects that contribute to the advancement of development as well as reconstruction and reconstruction. " He stressed Jubouri, according to the statement on "the importance of using international expertise to develop Iraqi industry and create competitive industries capable of reviving the Iraqi economy." For his part, Masjedi pointed out to "the wish of Balada in continuing to provide support to Iraq and in all fields again the readiness of Iranian companies to work with their Iraqi counterparts through the benefit of investment opportunities offered by the Ministry of Industry and Minerals, hoping that fruitful agreements will be reached to implement joint projects pour In the service of the two neighboring peoples. "